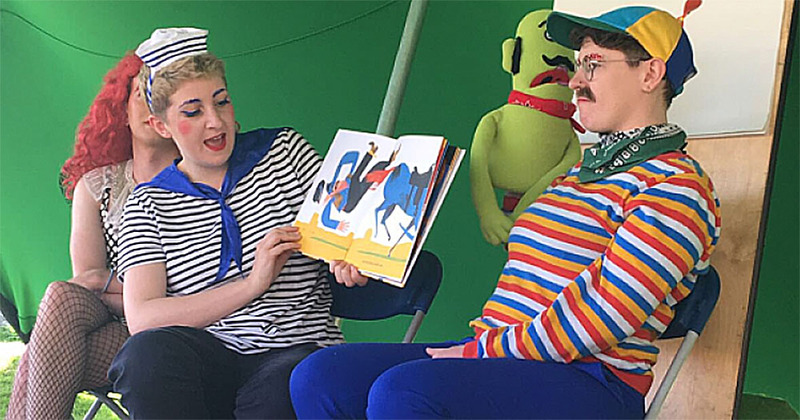 DLR Libraries cited a review of the event's "age appropriateness" in a statement yesterday, but has since claimed 'Drag Story Time' was cancelled due to safety concerns. News 15 April, 2019 . Written by Cassia Gaden Gilmartin. ‘Drag Story Time,’ a storytelling event for children presented by “DIY drag collective” Glitter Hole, has been canceled by DLR Libraries after receiving homophobic backlash from the public. The event, which aimed to offer “glamorous, positive, and unabashedly queer role models,” for audiences aged between 3 and 7, was due to take place at Deansgrange Library on June 26th as part of a summer series. A flood of threatening homophobic comments, however, led to its cancellation. This morning, Glitter Hole shared a statement on social media expressing their shock at the content of this announcement, which appears to condemn the event itself as inappropriate for children rather than focusing on its reception by the public. “We were contacted by DLR last month,” a spokesperson for Glitter Hole explains in the statement, “and asked to put on one of our drag storytelling performances to celebrate Pride and I wasn’t aware that it had been announced by them yet. Over the weekend we have been inundated with extremely violent homophobia from a frighteningly large group of bigots who believe that a few drag queens reading books to children amounts to child abuse. Glitter Hole has performed ‘Drag Story Time’ three times, they point out, and always received a positive reception. They add “DLR Libraries object to homophobia in all its forms and as per our social media guidelines, we reserve the right to remove content or comments that may be considered offensive, abusive or defamatory. Managing Editor of GCN, Lisa Connell appeared on Today FM to discuss the cancellation. Listen back to the full discussion here.